Finland is not an easy place to live. In the winter some places are dark for 22 hours and the temperature reaches to minus 30C! It is probably no surprise that living in Finland makes you tough. 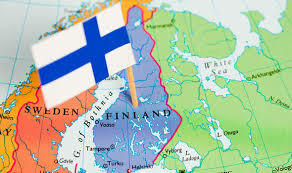 The Finns have developed the concept of Sisu, which means being brave, fearless and determined against all odds.